Designed by architects Foster + Partners, Chesa Futura – or “House of the Future” – certainly reflects its name. 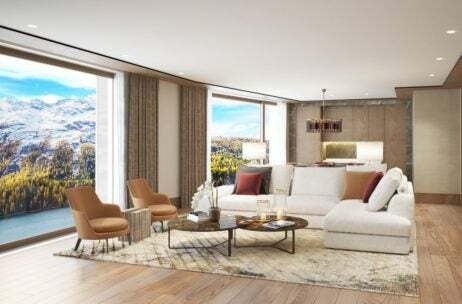 Fusing state-of-the-art design with traditional craftsmanship, the designers realized their vision of creating environmentally sensitive luxury apartments in the staggeringly beautiful Swiss mountains. 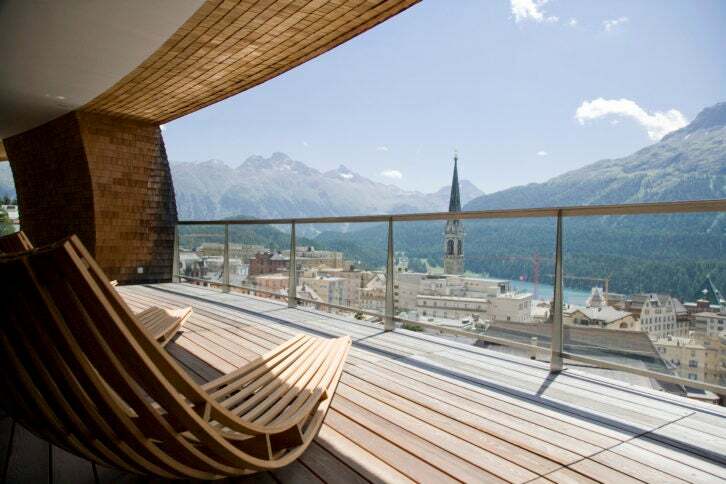 Positioned on a slope overlooking the chic ski resort St Moritz, the distinct curved form sits harmoniously amid its surroundings, owing to its wooden cladded facade. The unique property encompasses three sprawling apartments, along with underground parking. The 5,920 sq ft apartment Via Tinus then contains five bedrooms, five bathrooms and a stylish living space,with a terrace overlooking the pretty town and mountains beyond.